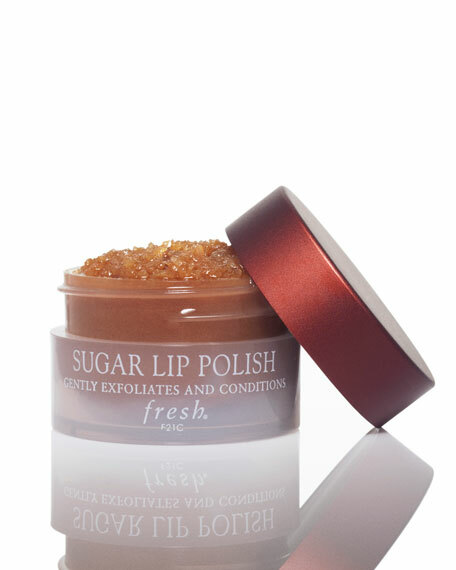 Fresh lends a sweet treatment that that leaves lips incredibly soft and smooth. This unique formula is enriched with real brown sugar crystals to gently buff away dry flakes. It nourishes the lips with the oils of meadowfoam seed, jojoba seed, and grapeseed while shea butterprovides long-lasting moisture. The inspiration for the Sugar Collection dates back to Fresh Co-founders Lev Glazman and Alina Roytberg's childhood. Each of their grandmothers used sugar, a natural antiseptic, to heal their scrapes. Wanting to pass this effective ritual on to the world, they bottled their shared tradition, pioneering the use of sugar in the beauty industry. Founded by Lev Glazman and Alina Roytberg in 1991, Fresh was a pioneer in using natural ingredients such as sugar, milk, soy, and rice in modern beauty treatments. Today, the Fresh collection encompasses not only indulgent skincare and bath treats but also innovative cosmetics, alluring fragrances, and signature candles. Works on contact to condition lips, relieve dryness and chapping, and shield against the elements. Enriched with 14 essential oils.